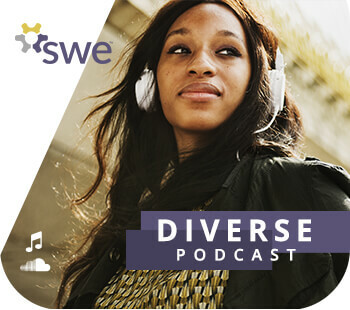 In this episode celebrating Women’s History Month, SWE Archivist Troy Eller English and SWE Director of Editorial and Publications Anne Perusek talk about the difficulty of recognizing female “firsts” in the engineering world. Listen to the archives podcast or read the transcript below, then make sure to share with your colleagues and friends! And be sure to check out our other archives podcasts, as well. Welcome to SWE Stories: Tales From the Archives. I'm Troy Eller English, the Society of Women Engineers Archivist at the Walter P. Reuther Library at Wayne State University. And I'm Anne Perusek, SWE's director of editorial and publications. It's March, and it's Women's History Month. While we should all think and learn about women's history the other eleven months of the year, March is an excellent time for us to collectively consider women's place in history, to contemplate where we are as women, who helped to get us here, and to envision where we're going in the future. Yes, and every year in the lead-up to Women's History Month, I receive many questions from SWE and from outside organizations who are writing tributes or celebrations of women of engineers who achieved notable "firsts." Yes. For example, in our last episode of SWE Stories, titled, "Breaking Boundaries," you gave the example of Ruth Feng, probably the first woman in the United States to earn a doctorate in engineering when she graduated from The Ohio State University in 1931. Yes, but it's a little tricky because while she was the first woman to earn an engineering doctorate in the United States, she was not the first woman engineer to earn a doctorate degree in something else. Dorothy Brophy Hall was a chemical engineer who received a doctorate in chemistry from the University of Michigan in 1918, because the university simply didn't offer doctorates in chemical engineering at that time. Right, that just shows how there are so many difficulties when celebrating firsts for women in engineering. 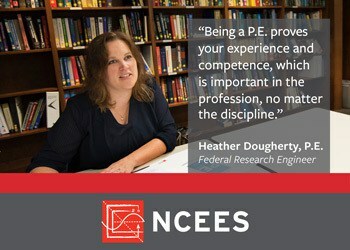 You can't simply look at women's degrees or job titles, because until the mid-twentieth century engineering degrees weren't necessarily even required, and it wasn't uncommon for women to be given lower job titles, despite doing engineering work, simply to protect the egos of their male coworkers or, importantly, to justify paying them less. That's true. When fact-checking, sometimes I can't give the short, pithy answers that people are hoping for. For example, recently I was interviewed about Bertha Lamme. Originally, the article described her as the first female mechanical engineer in the United States, which is both correct and incorrect, depending on how you look at it. She was the first woman to receive a mechanical engineering degree, which she did from The Ohio State University in 1893. However, Kate Gleason actually enrolled in Cornell's mechanical engineering program nearly a decade earlier, in 1884. Gleason never completed her degree, but she was likely performing at least some technical work in her father's mechanical engineering company. And later, she was the first woman to receive full membership in ASME, in 1914. Yes, absolutely. I think there's a lot of evidence that Kate Gleason did engineering work. And I think it's so interesting that the first engineering school, and perhaps the only engineering school in the United States, that's named after a woman, is named after Kate Gleason, and that's at RIT, Rochester Institute of Technology. So, Troy, who was the first woman mechanical engineer? I guess it does depend on the weight you put on degree versus experience. Right, and it gets even more complicated because while Lamme's degree from OSU in 1893 was technically in mechanical engineering, her declared specialty was in a new and exciting field called electrical engineering, which wasn't yet offered yet as a separate degree at OSU. Lamme was hired shortly after graduation by Westinghouse as an electrical engineer, and she worked in that capacity for 12 years. Because her degree was technically in mechanical engineering, Edith Clarke is sometimes credited with being the first female electrical engineer in the United States. Clarke received a master's degree in electrical engineering from MIT in 1919, and she had a long and impressive career for which she was honored with the SWE Achievement Award in 1954. People forget about Lamme because her degree was officially mechanical engineering and her career was much shorter and less celebrated. Right, and again, it's this question of the balance of the degree versus experience. Yes, and it gets even more muddled when you think that 70, 100, or 150 years ago, it was common for both men and women to become engineers through family businesses, or apprenticeships, or other on-the-job experience. I'm thinking of Emily Warren Roebling, who in her teens and early 20s studied a wide variety of topics that were considered suitable for ladies in the 1850s and 1860s, like history, geography, writing, maybe even algebra, French, housekeeping, and music. She never formally studied engineering, but she became the de facto project engineer of the Brooklyn Bridge. Yes, that's absolutely true, and I think it's a fascinating story. Emily Roebling's husband and father-in-law were architectural engineers and bridge builders, and they were commissioned in the 1860s to design and construct the Brooklyn Bridge. But her father-in-law, John Roebling was killed in an accident shortly after construction began in 1869. That meant that her husband, Washington Roebling, took over as chief engineer. But then he became bedridden by caissons disease, which was more popularly known as “the bends," which was decompression sickness, and that reportedly left him partially paralyzed, blind, deaf and mute. And this is because of diving underwater and re-emerging too quickly while laying the foundations for the bridge. So Emily Roebling initially took on the role of her husband's secretary, but because Washington was facing pressure to resign, she decided to help him continue as chief engineer. So she essentially became the project manager, and she learned on the fly whatever math and engineering concepts she needed in order to explain her husband's plans to the engineers and construction workers that were onsite, to overseeing contracts, get the building supplies, and speaking on behalf of her husband to the Board of Trustees. That's pretty amazing. Yeah, and I remember hearing that Emily Roebling was the first person to cross the Brooklyn Bridge when it opened on May 24, 1883. And the local congressman, Abram S. Hewitt, he spoke glowingly about her during the dedication ceremony. But then she was forgotten, or at least her work wasn't quite connected with engineering. I went back and looked through SWE's old publications, and SWE's early publications never mentioned her. It certainly feels like she was an engineer, even if she wasn't formally trained as one. And truthfully, in the late 1800s, women especially but men also would have had few opportunities for a formal civil engineering education. Sometimes degrees and job titles don't really reflect the actual nature of women's work and accomplishments. I'm thinking specifically of an article that you published in the Conference 2017 issue of SWE Magazine about a SWE member mistakenly being told that she was the first woman engineer in her department. Yes, the article was titled, "Not the First," and was written by SWE Fellow and Entrepreneur Award recipient Pam Dingman. Back in 2013, Dingman was appointed to fill the remaining term of the county engineer in Lancaster County, Nebraska, and she has been reelected to the position in the years since. Right, and when she was first appointed in 2013, she was told that she was the first woman to hold a technical position in the department, and SWE publicized that achievement at the time. Yes, but in the years since, Dingman learned that another woman had paved the way for her back in August 1960. And that was when Rose Lee Cohen was first hired as a draftsman in the county engineering office. In fact, a headline in the local paper summarized the situation with the headline, "Tradition Shattered." Don't you love it? (laughs) Dingman searched through old office and HR records, but she couldn't find any trace of Cohen's work in the county engineer's office records. So in her article, Dingman says, "I can only speculate that someone else put their name on Rose's work, taking credit away from the true pioneer." Yes, but you were able to piece together some information about Cohen's life. She grew up in Lincoln, Nebraska, and was the class valedictorian in 1927. She completed a graduating paper or thesis on "Commercial Aeronautics." She received a bachelor's degree in design and a two-year civil engineering certificate from the University of Nebraska--Lincoln. She worked as a teacher and artist for the Works Progress Administration through the 1930s, and as a draftsman and an illustrator for the Smithsonian Museum in the 1950s. Yes, and even though Cohen just had a two-year degree in civil engineering, in her article Dingman writes, "In the 1960s, when she joined the county engineering department, she had more education than the acting county engineer, Hugh Dillion. Rose would not have been able to be county engineer, however, because state law would have required her to have a professional engineering license. As far as I know, the first woman to obtain a professional engineering license in Nebraska was Paula Wells in December 1961." Now this got me thinking, it would have been really interesting if Paula Wells and Rose had an opportunity to meet. And perhaps they each could have obtained higher levels of success simply by being there to support each other. But, the first SWE section in Eastern Nebraska wasn't chartered until 1984, which I think is quite a big span of time there. Now, there are few interesting things about Rose that came to light--the information that we just shared and a bit more--and the reason it came to light is that there was a 2009 exhibit that was titled, "For the People: Nebraska's New Deal Art." And the text that accompanied the exhibit read, "As with several other artists in this exhibit, we have no further information about Cohen." Now that was back in 2009. By 2015 a researcher had been able to dig up a bunch of things about Rose. The researcher, Lonnie Pierson Dunbier, wrote Museum of Nebraska Art Project: Their Place, Their Time: Women Artists in Nebraska, 1825-1945. And that's how we were able to receive more details about Cohen's life. I think that this was so instrumental in actually discovering that Pam Dingman was not the first technical woman employed by the county engineering office. It came to life through Dunbier's research. So it just shows what a trail we have of information that we sometimes have to fight our way through to get clarity on such matters as who was first, who really made the contributions, you know? Right, and when you're looking at old documents, when you're trying to piece together this information, it can be difficult to read between the lines of job titles to determine whether women were officially classified as engineers, whether they were given lesser titles like "engineering aide" or "technical assistant" so as not to upset their male colleagues, or whether they were truly performing work that wasn't engineering. Right. I remember that last year you were contacted about a woman who was supposedly the first woman engineer at her company when she was hired in the mid-1960s, and a major media organization wanted to know if she was the first woman engineer in her entire industry. Yes. And I knew that this woman--I'll call her Jane Doe--wasn't the first woman engineer in her industry by several decades, but I also knew that she wasn't even the first woman engineer at her company, either. So,this particular company's corporate archivists had already contacted me years before, asking me if I knew who their first woman engineer was, because they had no idea. Since corporate archives typically don't keep personnel records, it turns out that SWE's archives had far more information about this company's early women engineers. And after searching through SWE's old membership directories, section newsletters, and newspaper clippings, I was able to compile a list of about ten SWE members who worked at this company in technical positions during the 1940s and the 1950s. And it turns out that when Jane Doe was hired at this company in the mid-1960s, her new boss proudly told her she was the first women engineer the company had ever had. And I'm not surprised that he thought that. When I was looking through SWE's archives, I noted that by the late 1950s and early 1960s, the number of SWE members working at this company was dwindling. Some had retired, some had moved, and others had gotten married and quit, which was really common at that time. So, it really doesn't surprise me that a boss in a large company with many departments scattered throughout many buildings wasn't aware of all these earlier women engineers. If he saw a woman in the hall, he probably assumed she was a secretary, and in many cases he would have been right. So, did you ever figure out who the first woman engineer was? No. First, I could only find SWE membership applications for a few of the women, and so for most of them, I didn't know exactly when they were hired. And then second, I ran into a problem with definitions. I had a list of ten women in technical positions at this company, but were those women technically considered engineers? If you're looking at their educational credentials, a few had completed accelerated engineering training courses during World War II, a few had degrees in mathematics or something similar, and I did find one woman with a bachelor's degree in engineering. But, I wasn't able to determine the educational background for several of the women. And their job titles really didn't clear anything up, either. Did "Engineer B" mean that the SWE member had received a promotion, or did it mean that she had a lower rank and would have to work her way up to "Engineer A?" Or, did "Engineer B" mean that she was considered an assistant engineer? Other SWE members at this company had job titles that didn't include the word "engineer" but could plausibly describe engineering work, and also just as plausibly describe non-engineering work. One woman's job title was "Designer." I had no idea whether she designed engines or upholstery patterns. Another SWE member completed an accelerated engineering war training program and she worked as a draftsman for the company for decades. Was she performing the work of an engineer for a lesser title and lesser salary, or was that simply the highest job title she could achieve without a formal engineering degree? Right, and you only had information about SWE members who worked at this company. There may have been other women engineers, or women in technical positions, that worked at the company in the 1940s or maybe even earlier, or women who didn't join SWE when it was founded, which wasn't until 1950. True. We might not ever know exactly who the company's first woman engineer was, but I did compile a list of women who paved the way for Jane Doe, who had a fascinating life and successful career, even if she wasn't the first. You know, and this reminds me of something Pam Dingman wrote in her article, "Not the First," which we just discussed a little while ago. She wrote "As women engineers, we must be aware of and share the struggles of the past in order to build the strength to overcome the challenges of the future. Most of all, I believe we have to remember the past in order to move forward." It does strike me that moving forward can be slow. If Rose Cohen was the first technical woman in the Lancaster County Engineering Department in 1960, it took more than 53 years for Dingman to become the second. Cohen's presence in the engineering department wasn't so much a sign of changing culture as it was a temporary anomaly. Yes, and that means that while it's important to note and celebrate firsts during Women's History Month, or at any other time for that matter, we should also be looking beyond the "firsts" and celebrating the "seconds" and the "thirds." Someone might have cleared the path before them as the "first," but the paths of the "seconds" and "thirds" might not have been any easier if weeds and the brambles were allowed to grow back over time. Absolutely. And now I'd like to point out that the Spring issue of SWE Magazine will be coming out in April and we'll be announcing the Women Engineers You Should Know to give us all another insight and a greater understanding of the important work of women engineers and the challenges they've overcome and the breakthroughs they've made. So, on behalf of myself, Troy, and everyone else at SWE, thanks for listening.